The Charterhouse model is constructed using Martin’s innovative Woodgrain steel flat-panel base door and composite wood overlays. 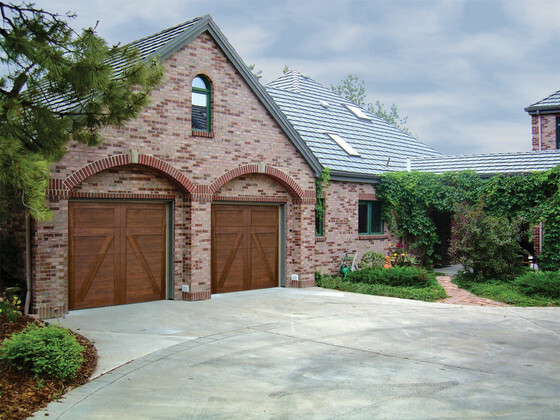 The final creation is a one-of-a-kind garage door that has the beauty of wood, but is also low-maintenance. For the toughest, energy-efficient door, this steel door includes superior eco-friendly insulation plus a layer of steel for a finished interior look and added strength. This construction provides a fully insulated R14 value. The Providence model offers homeowners the opportunity to complete their home with a beautiful, composite wood product. 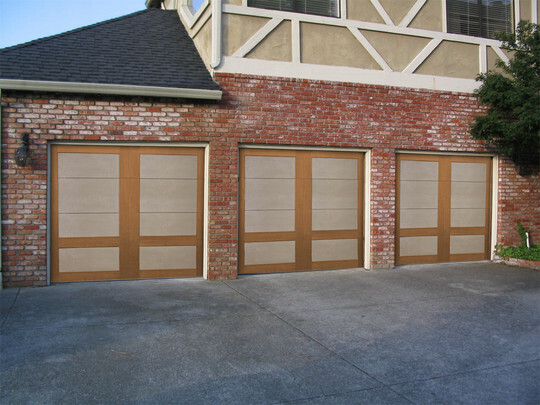 This door combines composite wood overlays with Martin’s simple flat-panel base door to achieve a low-maintenance, striking garage door. For the strongest, energy-efficient door, this steel door includes superior eco-friendly insulation plus a layer of steel for a finished interior look and added strength. This construction provides a fully insulated R14 value. A variety of stains to chose from.